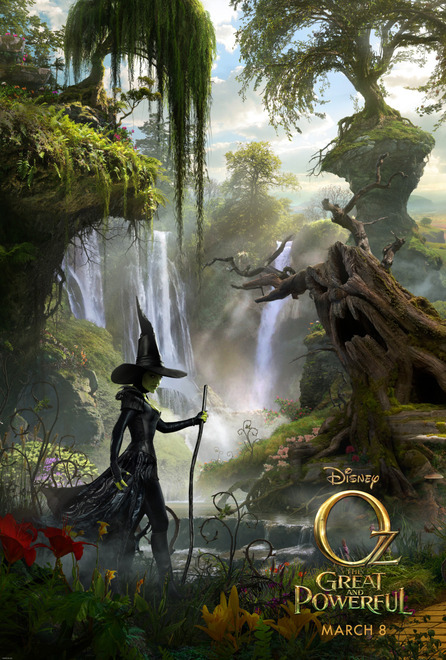 Oz The Great and Powerful is one movie that I’m ridiculously excited for! Oscar Diggs (played by James Franco) is a small time circus musician with questionable ethics. When Oscar is hurled into the Land of Oz, his dreams of fame and fortune are extinguished as he is drawn into the epic problems that face the people of Oz. The witches – played by Mila Kunis, Michelle Williams, and Rachel Weisz (one of my all-time favorite actresses) are not convinced that Oscar is the wizard everyone thinks he is, and Oscar must utilize his magical arts, ingenuity, and wizardry to become a better man, and The Wizard of Oz! First of all, I’m in love with the casting done on this film – I absolutely love Rachel Weisz, and can’t wait to see James Franco as Oscar! Plus the costumes and design of the film looks breathtaking. 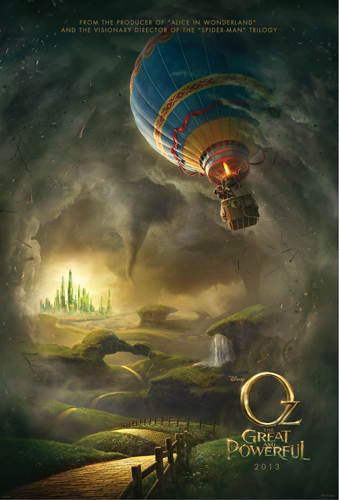 While Oz The Great and Powerful doesn’t hit theatres until March 8th, I’ve included two of the movies posters (one above, and one beneath) and the trailer for your viewing pleasure! As excited as I am??? Check out the movie site, facebook, and twitter to stay on top of new updates and exclusive content!!! Next Post NYC New York Color IndividualEyes Custom Compact Review!